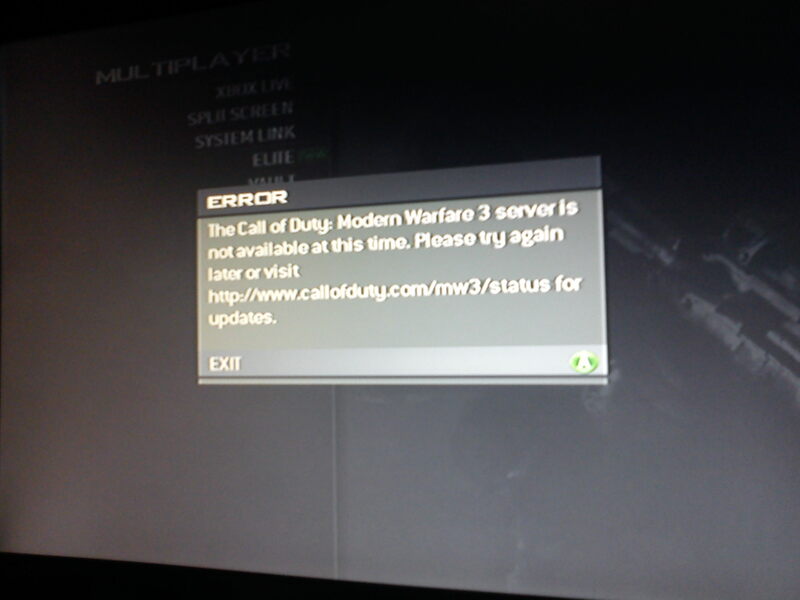 Everytime i get into an online match on mw3 i get kicked out and a thing pops up saying error, please go to callofduty.com/status and try again late. I go to the website and it says everything is fine, does anyone know how to fix it? Reset your router and try again. My NAT goes to strict pretty much every time I turn this game on. Have to go through the process of logging into the router, doing a hard reset, then turning it off at the wall for a few seconds, then back on, then xbox off and back on. Repeat until NAT shows as open again. Might work for this too. How do i fix it brett?